As a faculty member at MIT, my research focuses on toxic chemicals in the air: where they come from, how they travel from place to place, and how we can better manage them. I use computer models and analyze data in order to understand the chemistry and transport of pollutants like mercury, persistent organic pollutants, ozone, and particulate matter, and project their potential impacts. 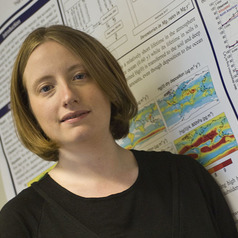 I also examine how pollutants respond to climate and other global changes. My work aims to inform decision-making and policy.